Banish the humdrum with some of the best entertainment there is! The legendary country sensation that is Willie Nelson & Los Lonely Boys will be heading to St Augustine Amphitheatre on Sunday 18th February 2018 for a mind-blowing showcase of exciting talent! This is great musicianship and songwriting at it's very best so if you love music, then whatever you do, don't miss your chance to be right here… tickets are selling fast for the big night! Get yours booked quick! Willie Nelson hardly needs an introduction as one of the biggest influences on the American Country scene, known for his work as a musician, singer, songwriter, author, poet, actor, and activist… he has been producing albums since the early 1970's and is just as popular as he was back then, to this day. 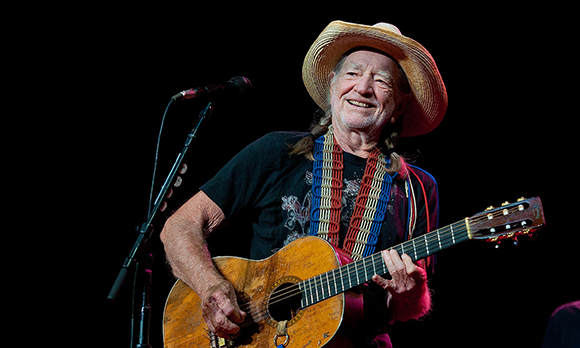 His first debut came with the massive success, Shotgun Willie in 1973, next on the list is Red Headed Stranger (1975) and Stardust (1978), these three absolute triumphs pushed his career into the limelight and created a long standing position, in the history of music, Willie Nelson is one of the most recognized artists in not just Country, but in music in general and is one of the main figures of outlaw country, a subgenre of country music that developed in the late 1960s. This was a niche that became very much a rebellion due to the conservative restrictions of the Nashville sound, a time that is hard to imagine today! With all of his incredible work, Willie Nelson has influenced artists and musicians alike and as well as music has acted in over 30 films, co-authored several books, and has been involved in activism for the use of biofuels and the legalization of marijuana. A talented man all round and an absolute strong figure that continues to take to the road time and time again! Catching Willie Nelson LIVE in concert is an absolute dream for anyone – if you have the chance, grab it and make the most of it! TICKETS NOW ON SALE FOR THE 2018 WINTER – SPRING TOUR!